The benefits of having your home and office carpets professionally cleaned by Carpet Cleaning Malibu are numerous. The main benefit is, well, that you don't have to do a thing besides make the reservation. When you hire us to clean your carpets, we will take care of moving around pieces of furniture to make sure to get to the tightest corners. 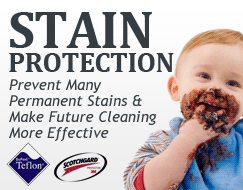 Your carpets will be thoroughly cleaned and sanitized using the highest quality shampoos and cleaners on the market. All of our products are Eco-Friendly which means they are perfectly safe for you and your pets. Just because they are green friendly doesn't mean they aren't effective. They are strong enough to remove the toughest bacteria and stains from your carpet, but light enough to leave a freshly cleaned smell on a super soft carpet...all the while offering 100% carpet sanitation. Spots and stains will be removed and extra attention will be given to high traffic areas that are prone to excessive wear and tear. The cleaning products we use guarantee a deep cleaning that removes trapped contaminants as well as eliminates the causes for many odors resulting from spilled food or pet stains. And, best yet, our equipment guarantees that your carpets will be thoroughly sanitized as to prevent the spread of dust and mold that can lead to airborne illnesses, like asthma and allergies. After your carpets have been cleaned you will be greeted with a follow up call the next day to make sure we did all that we promised to do. In the unique situation that we have not, you can be sure we will come and fix it or refund you your money. 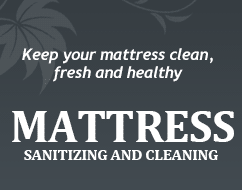 Carpet Cleaning Malibu offers many other fantastic cleaning services for your home and office. For a more detailed list, contact our customer service representatives today!